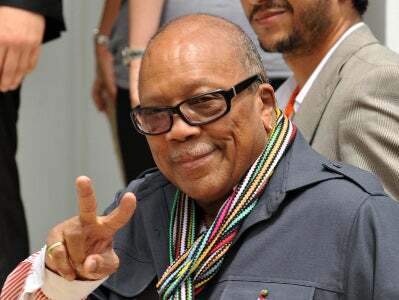 Quincy Jones, bandleader, composer, producer and Grammy-laden powerhouse of the entertainment world, was on CNN on Inauguration Day, getting personal and global at the same time. The much-traveled Jones had been back to his old stomping ground, Garfield High School in Seattle. There, he chatted up a group of students and discovered, to his dismay, that they didn't recognize the names—much less the legacies—of Louis Armstrong, Duke Ellington, John Coltrane and Charlie Parker. "It hurts me so much that they're not aware of who their giants are," said Jones, with obvious emotion. "I just got promoted to Commander du Légion d'Honneur"—France's highest arts award, a signal honor in European culture—"and I almost cried … that we don't have a [French culture minister] Jack Lang to represent the arts in an official Cabinet position." The fresh wind of a new administration in Washington has brought new attention to an old objective—some might say a dream—of artists and arts administrators: a Cabinet-level secretary of the arts. Jones has long been an informal supporter of the idea; now he’s taken on the marquee role of evangelist for creation of the post. His efforts along with an online petition launched by two New York City musicians are building awareness and support for creation of the post and trying to secure backing of a president with a known affinity for the arts. Politics and the arts in America have long been engaged in a tortured dance; by turns, pas de deux and danse macabre, depending on the party in power. The National Endowment for the Arts, created in 1965 in the flurry of legislation from President Lyndon Johnson's Great Society program, has been a favored whipping boy for Republicans for the past eight years. The GOP generally opposed the NEA either on fiscal grounds or for cultural reasons connected to issues of obscenity and free speech. Both Democrats and Republicans flirt with the arts, a truth never more obvious than in the campaign soundtracks from the last election. And young administrations are always eager for the style points that come from brushes with artistic celebrity. The Kennedy inaugural party in 1961, perhaps the event that first cemented the Camelot myth in the mind of the public, was attended by arts and entertainment royalty, which brought an elegance to the political world. But efforts for a Cabinet-level officer of the arts have never gained serious traction in Congress. Peter Weitzner and Jaime Austria would have it otherwise. Weitzner, curator of the chamber music series at the Central Branch of the Brooklyn Public Library, heard Jones discussing the idea on WNYC's "Soundcheck" show in November. He called his friend, Austria, a bassist for the New York City Opera and American Ballet Theater Orchestras, who hit on the idea of expanding public support by circulating an online petition. "We were hoping to gather as many signatures as possible and then present them to President Obama and the new administration close to the inauguration,” Weitzner told me. "As the petition gained considerable momentum throughout the days leading up to the inauguration, we decided to let it run as long as possible." "Our goal was never to endorse a particular candidate for the Cabinet position, but to bring awareness to how important the arts are to the psychological and financial health of the country, and how integrating them back into the national educational curricula would be a great investment in the future of our nation," Weitzner said. It's undeniable that a Cabinet-level arts minister would put the United States on a similar footing with other countries with a vibrant cultural life. It would send a signal that the arts are an important part of American life and history, and a major component of how the United States would change its relationship with its global neighbors. A secretary of the arts could also help harness the economic power of those who work in nonprofit arts groups in the United States. That power's hardly insignificant. In a study, Americans for the Arts, an arts advocacy organization based in Washington, found that the nonprofit arts industry generates more than $166 billion in annual economic activity, resulting in almost $30 billion in tax revenues. It's equally undeniable that the idea for this position surfaces at the worst possible time for the national economy. The current economic crisis and the likelihood of things getting worse before they get better, provides regrettably justifiable cover for those in Congress who'll say there are bigger national priorities right now. One prominent arts administrator in Washington was downbeat about any push for an arts secretary. "I am not optimistic that Congress would create another department. It is expensive; it is another bureaucracy," Michael Kaiser, president of the John F. Kennedy Center for the Performing Arts, told the Washington Post last month. "Whether you call it a minister of culture or not," Kaiser said, "it would be wonderful to have someone with a policy role to coordinate arts education, cultural diplomacy and support for arts organizations. Those activities are not coordinated but divided among many offices." But for one protean figure of American arts and letters, it's not about policies and appropriations. For Quincy Jones it comes down to formally and officially recognizing the shoulders of the cultural titans a nation stands on. "I know we're not at the top of the list," he told CNN on Inauguration Day. "But I think it's a very, very important element. The culture of a country is probably the soul of a country."